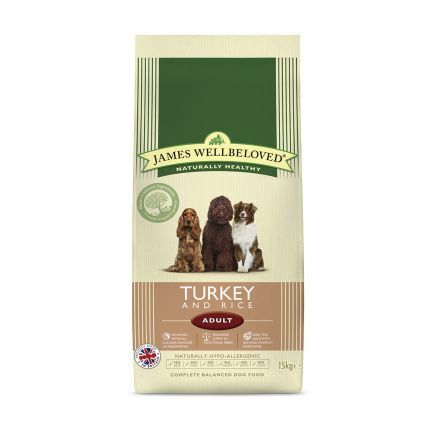 James Wellbeloved Turkey and Rice dog food contains naturally healthy white meat nourishment in a hypo-allergenic food with the healthy white meat goodness of turkey. Hypo-allergenic to help stop loose digestion and soothe skin irritation. Gentle on your dog's digestion with oats for energy. Delicious and crunchy smothered in turkey gravy. British made for freshness and quality. Pure natural ingredients. 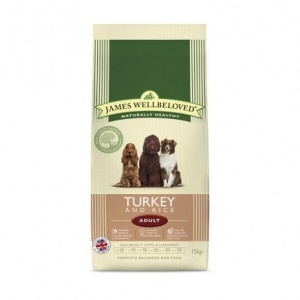 James Wellbeloved dog food Turkey & Rice kibble contains no unhealthy additives.